March is National Nutrition Month so we are highlighting EatRight.org a great website for helping families eat right and stay healthy. Eatright.org has sections for men, women, parents and kids so that everyone can find great information about health and nutrition that’s right for them. Did you know that being healthy is also very important to your financial health? Besides the costs of medication and doctors appointments, being sick or just generally feeling unwell can be very distracting from keeping your finances in order which can keep you from making smart financial decisions! Plus if your sick or not feeling well it’s hard to be productive at work or be at your best at an interview if you’re looking for a job! If you’re an entrepreneur you’re likely doing a lot yourself and your business can seriously suffer if you’re not feeling well enough to keep on top of your tasks! 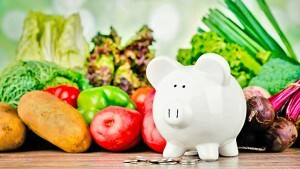 Financial health and physical health go hand in hand!